Somebody had better notify the bigwigs at Dreamworks Pictures and Paramount Studios that one of their Transformers, has escaped the studio lot. The transformation of the 2011 Sea-Doo GTI 130 is like something straight out of a movie, but the best part is, it’s not some fictional movie prop. The GTI 130 is definitely the real deal. 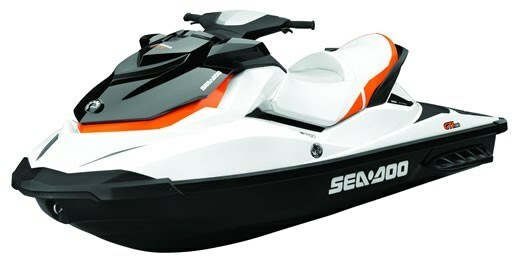 Sea-Doo has really raised the bar with the radical re-design of the 2011 GTI 130. While it might still be a watercraft geared towards the first time buyer, the only thing that remains “entry-level” about the GTI 130 is the price. Not that it was necessarily ever the ugly ducking of the Sea-Doo watercraft family before, but the GTI 130 now looks like a watercraft that belongs with the rest of the Sea-Doo lineup. It shares a lot of very similar design characteristics with the top of the line GTX models. The craft’s center of gravity has been lowered by decreasing the overall profile, while the bow has been lengthened, and the size of the stern has been enlarged, providing a larger boarding platform and increasing buoyancy and stability. The result is a ride that is comfortable, ergonomic and enjoyable. Wide-angle mirrors now allow the driver to view what’s happening behind them with ease. The seat is well designed, with its raised rear section that allows passengers to actually see what is ahead of them, as opposed to staring at the back of the driver’s head. The new GTI 130 is more than just a pretty package, it’s got the goods to back it up. It boasts Sea-Doo’s Intelligent Throttle Control (iTC) as well as the Intelligent Brake and Reverse (iBR) system. Including both of these features on an “entry-level” watercraft is nothing short of impressive, and really goes to show how far PWC technology has progressed. The iTC and onboard driving center offers 19 different functions, including a default Touring mode, as well as a performance enhancing Sport mode. Also available is the optional ECO mode, which is designed to optimize fuel usage. Using the iBR is intuitive and easy. 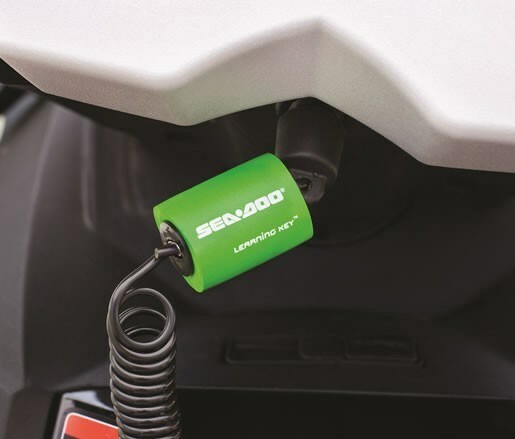 Just like the rest of their watercraft, Sea-Doo has combined the brake and reverse in one lever on the left side of the handlebar. The brake is really something that needs to be experienced to be fully appreciated. Suffice it to say, it functions extremely well and dramatically reduces the watercraft’s stopping distance. While the reverse feature allows for precise control, and is definitely appreciated when piloting the boat at low speeds while launching or docking. The 1,494cc Rotax 4-TEC offers 130hp and is the same engine that provided the power for its predecessor. While it may technically be the same engine, the way it moves this craft around the water definitely feels different. This is mainly due in part to the craft’s new dimensions and the inclusion of the Sport mode. The result is an agile quick acceleration, with a top speed of 85-88 km/h (53-55 mph) and ample power for any towing activities. Included standard on the GTI 130 is the iControl-programmable Learning Key, which limits the watercraft’s top speed, a feature that can come in handy if the craft is being operated by younger or less experienced drivers. Sea-Doo lists the colour options for the GTI 130 as simply Black and White, and while that may sound basic and blasé, one look and one ride on this newly designed watercraft will definitely have you convinced that it really is more than meets the eye.